So your rock n' roll, or rock n' roll dreaming, friend had a baby? They might appreciate one of the cute outfits from Etsy shop, Lowleepop. They come in sizes ranging from newborn to 18 months. I usually recommend getting clothing for babies in one of the bigger sizes. It seems that many people buy clothes for the newborn to 3 month range, and if their baby is anything like mine were, they will grow out of those tiny clothes within days or weeks. Plus, it's nice to have an outfit for them to wear once they've gotten a little bigger. If your friend has a full set of sleeve tattoos, then they might appreciate the very unique baby outfit that comes complete with baby's first tattoo sleeves! 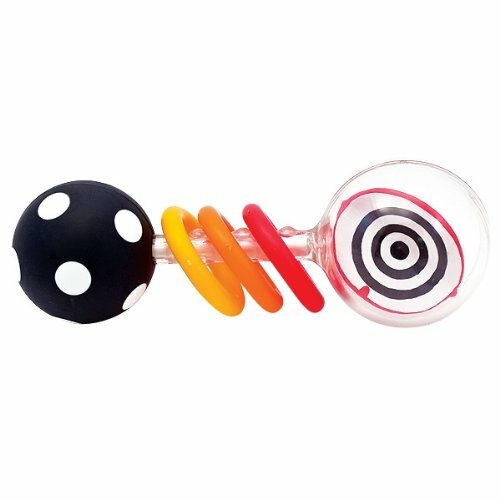 We were given the Sassy Spin Shine Rattle, and it has been a dependable and engaging rattle for both of our kids. The vivid colors and turning pieces captured their attention when I turned it side to side for them, and when they got older, they were able to shake it themselves. 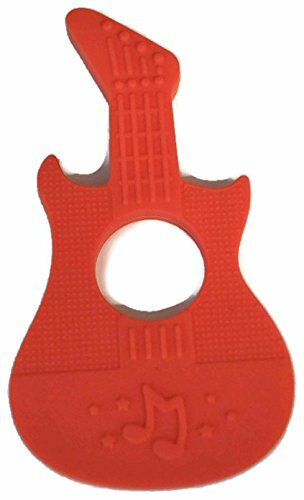 Teethers are always needed in different shapes and textures, so why not try this guitar shaped teether? No baby rockstar is complete without some music! 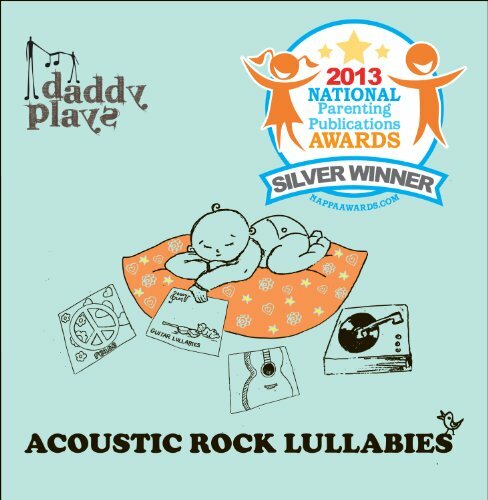 Here is Daddy Plays Acoustic Rock Lullabies which is a sweet compilation of acoustic guitar music of songs by The Rolling Stones, The Beatles, Led Zeppelin, and others. You can preview the songs here.